An evening with A Model Recommends and COLAB @ Superdrug Beauty Studio. Last week Superdrug Beauty Studio in Cardiff hosted an evening with Ruth Crilly from A Model Recommends and COLAB for a selected group of lucky customers and bloggers. Unfortunately I could not attend as my boyfriend just came out of hospital and I had to look after him, but thought I’d get some information on the event for my readers. COLAB is a range of dry shampoo for grown ups used by industry professionals and created by them too. The night was filled with demos how tos, product showcases on how to get the best out of the products and to Celebrate the new Extreme Volume collection and launch the products nationwide in Superdrug stores. Ruth led the masterclass by demonstrating how to achieve a catwalk ready style in the easiest way possible using the dry shampoo range by COLAB. The range includes dry shampoos inspired by the Fashion capitals of the world, London, Paris, New York, Rio and Toyko each with a sheer and invisible formula that adds volume. The dry shampoos range from £1.99 – £4.49 and can be purchased from Superdrug here: Click to see the full range! 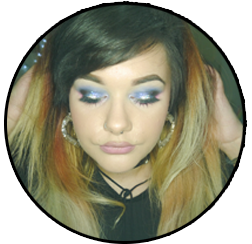 Posted on February 1, 2015 February 1, 2015 by sindyydollPosted in In and Around Cardiff, Local and National Events, Press EventsTagged a model recommends, a model recommends colab, bblogger, bblogger event, beauty studio superdrug, colab, COLAB event, colab hair, dry shampoo, ruch crilly, Ruth Crilly, superdrug, superdrug review, Superdrug stores. Previous Previous post: How to clean make up brushes. Questions and Comments MUAs get asked #2. Next Next post: Kaspa’s Desserts Cardiff!